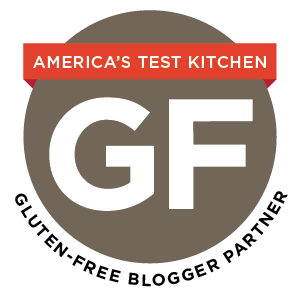 Psst… Have you entered my giveaway for the AMAZING new gluten-free cookbook from America’s Test Kitchen? It ends soon! My valentine got me citrus and I couldn’t have been happier. Thanks to an especially sweet friend, I had an influx of lemons, grapefruits, and tangerines come my way earlier this winter, so this time I’m working with fringe citrus: kumquats, kaffir limes, and bearss limes. Kaffir lime trees, whose leaves are widely used in Thai and other Southeast Asian cuisine, have small, bumpy, thick skinned fruits. The taste of kaffir limes is like an especially pungent, concentrated lime. They don’t have much juice, but the zest really packs a punch. I’ve been having fun playing around with them in salt, cocktails, ice cream, and some really puckery lime curd. 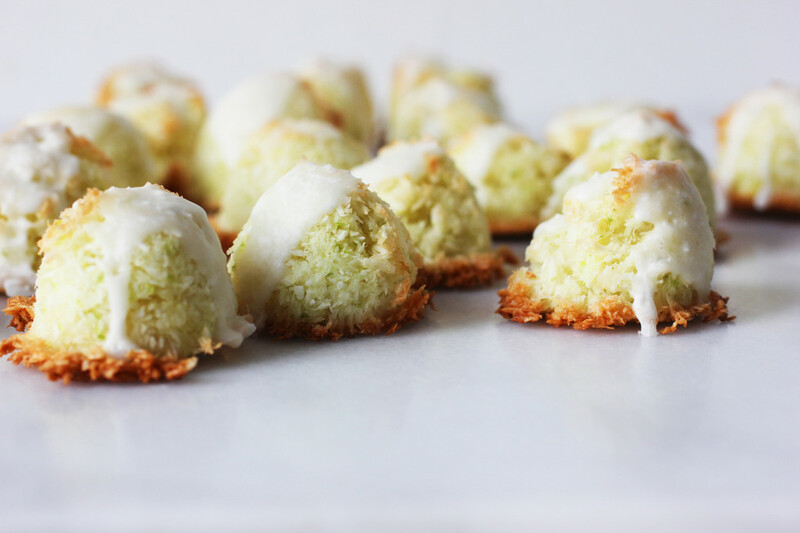 The full-flavored kaffir lime zest is the perfect thing to fold into these easy coconut macaroons. To utilize the whole fruit in this treat, I put the juice from the zested fruit to work in a quick, simple powdered sugar glaze. I love this super-finely shredded coconut and it’s what I used here. To give you an idea of how thin it is, it’s like the stuff on the outside of Hostess snowballs 🙂 To preempt the inevitable question, of course you can try using regular limes here, although I imagine the flavor would be less pronounced. I’d urge you to seek out organic fruit for this though, since you’re eating the peel. This would also be a great recipe to highlight another fancy citrus that you have just a little bit of. I image these would be unbelievable with something like bergamot. 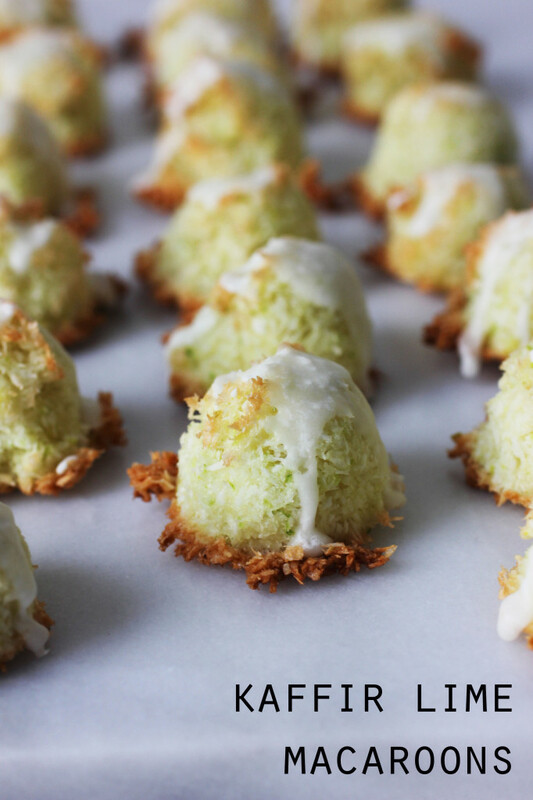 A gluten-free coconut macaroon recipe with a kick of kaffir lime. Preheat the oven to 350 F and line a large baking sheet with parchment paper. In a medium bowl, combine the coconut, sugar, and lime zest. In a separate bowl, whip the egg whites until frothy. Stir the egg whites into the coconut mixture until the coconut is evenly coated. Using a tablespoon cookie scoop or melon baller, scoop level tablespoons of the dough on to the cookie sheet. They won’t spread, so you can put them quite close to one another. Bake for 15 minutes at 350 or until they are golden brown around the edges. Let cool for 5 minutes on the cookie sheet, then remove the cookies to a wire rack to cool completely. 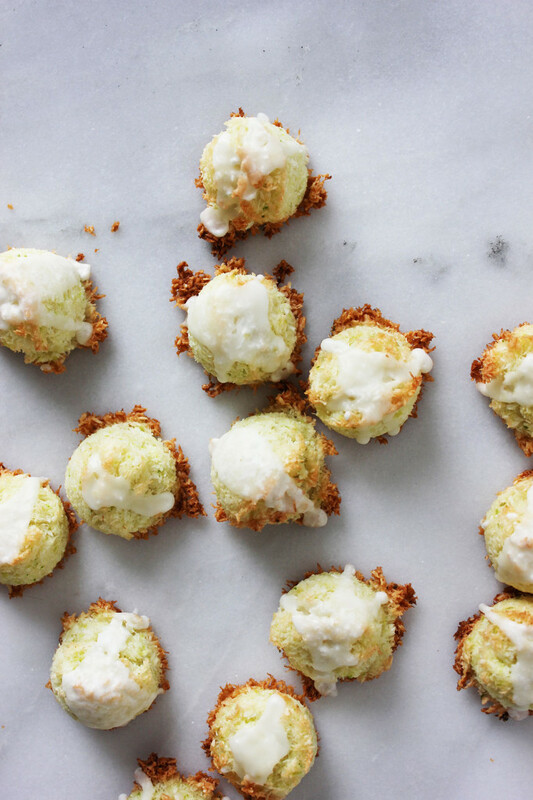 When the cookies are completely cool, stir the lime juice and powdered sugar together until completely smooth then drop about 1/4 teaspoon glaze onto the top of each cookie. Allow the glaze to harden before storing in an airtight container at room temperature. There’s that Bastille song Pompeii with the lyrics: Where do we begin, the rubble or our sins? well, Bastille, I’d like to change the lyrics to: Where do we begin, the ice cream or the macaroons? Seriously genius idea. I need to scour the suburbs for some keffir limes! I could see myself making a plate of these for Easter. So pretty! I LOVE these.. seriously just lovely.. I hope you do, Lena! Macaroons are delicious! And adding lime makes these sound so good! Yum! Thanks for sharing! These look insanely delicious. I love the flavor of kaffir lime–I wonder if you could use the leaves instead? Maybe pulverize them with the sugar in a food processor? I’ve never been able to find kaffir limes reliably, but I can always get the leaves. Can’t wait to try this. Thank you so much for posting this recipe! I made them tonight in order to use up some egg whites, and I am in love. I didn’t have kaffir limes, but I did have some lemongrass stalks, so I ground the tender bits with sugar and the zest of a couple of small regular limes and their juice. I only had regular unsweetened shredded coconut, so I used extra (3 1/2 cups) and let it go for a bit in the food processor. They turned out perfectly. They’re completely addictive, and I don’t usually even like macaroons. Both my macaroon-loving sweetie and I are in heaven. I can’t wait to get the proper ingredients and try the recipe as written. Thank you for saving me from bland, boring macaroons! Yay! I’m so happy to hear that, Alanna. I love your adaptation. I bet the lemongrass was so good!